VINE will monitor the custody status of adult inmates in all county jails and state prisons. Updated information is available 24 hours a day. VINE is available in English and Spanish and supported by 24-hour operator assistance. Anyone may call the Nebraska State VINE Hotline to determine the custody status of an inmate. Callers should know the inmate’s name or booking number. Callers may call as often as they like and do not have to register when calling. Note: Case information is currently not available through VINE. Procedures are being developed to include automatic registration for court event information for Lancaster County as a pilot site. These procedures are not yet final. Unless otherwise noted, notification calls begin as soon as the VINE Call Center receives updated records from the on-site computer (within 15 minutes of record change) and continue for 24 hours or until the notification is confirmed by the correct PIN. High Priority – Notification calls will continue until a correct PIN is entered or until 24 hours have elapsed. When a custody status change occurs, the system will call the victim every 30 minutes if there is no answer or a busy signal is received. A message will be left on an answering machine but calls will continue every two hours. On an unconfirmed notification, calls will also be made every two hours. Notifications will take place throughout a 24 hour period unless otherwise noted as daytime hours only. Daytime hours are from 7:00 am to 9:00 pm. Delayed High Priority – These calls will begin six (6) hours after the transfer of the inmate and will continue until a correct PIN is entered or until 24 hours has elapsed. The system will call the victim every 30 minutes between the hours of 7:00 am and 9:00 pm, if there is no answer or a busy signal is received. A message will be left on an answering machine, but calls will continue every two hours. On an unconfirmed notification, calls will also be made every two hours. 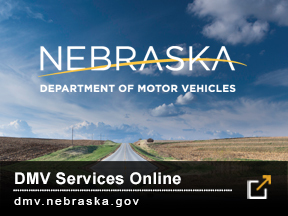 Note: When a registered person is notified of an inmates transfer to another facility, he or she must re-register with VINE to keep the registration current. Inmate records will be purged from the VINE database after the inmate has been released from custody for two weeks. Data will not be purged if there are open cases associated with the inmate. For customer service, technical assistance or to report a possible problem call the VINE Customer Service Department at 1-800-865-4314.